Own a piece of History at a fair price ! 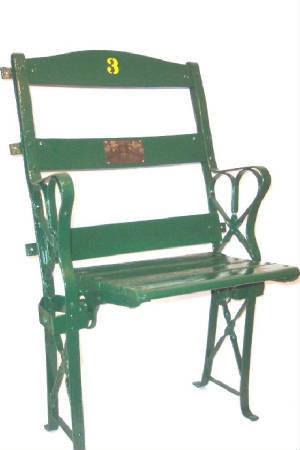 Original Stadium Seats established in 1987 first as a small time local stadium seat seller. 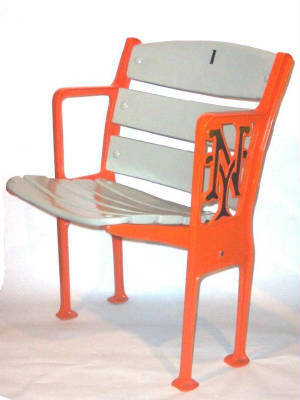 Then in 1991 we went World wide bringing stadium seats and stadium artifacts to the sports fans. 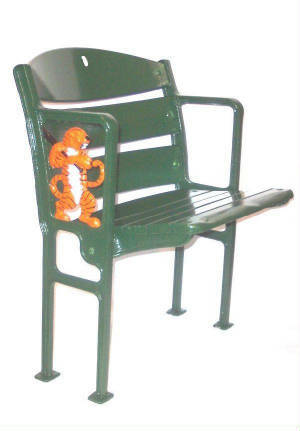 We have a vast inventory of stadium seats arena seats vintage stadium seats and collectible stadium seats available. Our inventory includes ballpark related items such as stadium signs turnstiles ticket boxes ticket windows bricks and plaques for your stadium seats as well as those hard to item for your collection. We have some of the oldest stadium seats to some of the newest ones for sale. Are you looking to buy sell or trade a stadium seat ? 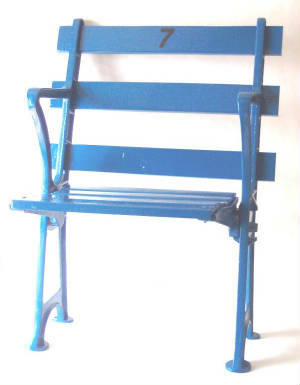 Would you like to restore an old stadium seat to its original condition ? Our restoration process can make your stadium seat look like it did when it was first put into the Ballpark right down to the original stadium seat color,and correct font for the numbers. Original Stadium Seats has one of the largest inventories of vintage and collectible stadium seats in North America with over 200 + seats in stock from some of the World's greatest sporting venues. With over 30 years of experience in the hobby we have gained the knowledge and respectability second to none in the stadium seat collecting industry. Original Stadium Seats has been featured on ESPN The National Sports Collectors Show Sports Collectors Digest ( numerous times ) Tuff Stuff Magazine TV and Radio The Cleveland Plain Dealer and has donated stadium seats to The Baseball Hall of Fame.Major Auction House's seek us out to identify stadium seats beyond their realm of expertise. When The Topps Company wanted to put tiny slivers of authentic stadium seats to put into their Baseball Basketball Football and Hockey cards they bought from US knowing that we can guarantee that any stadium seat sold by us has a 100% lifetime guarantee. Each item comes with a letter of authenticity.